Features: These antique brass earrings are designed with an urban vintage appeal. 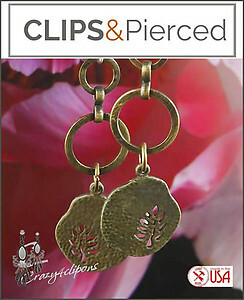 The brass allows the long, dangling earrings to truly showcase a lovely leaf etched full of simplicity in features. Unique design and textures combined form these stunning earrings.